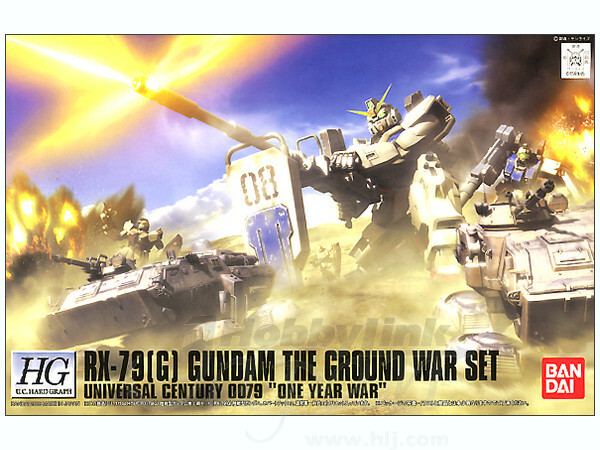 The second set incorporating the workhorse of the One Year War, the Ground Type Gundam. 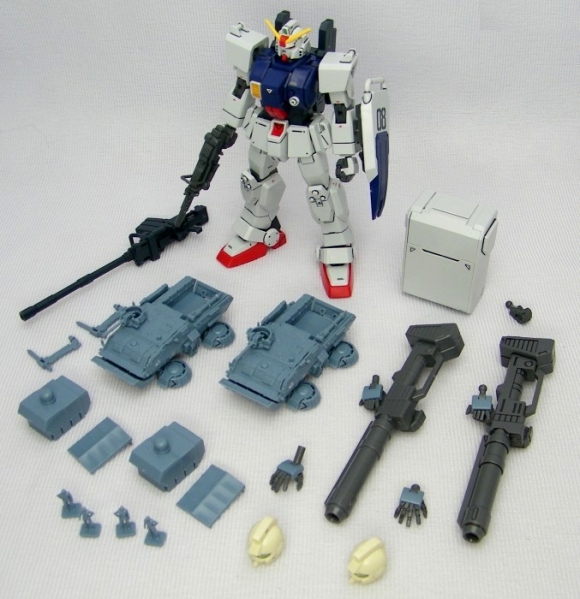 This "Hard Graph" set includes HGUC Ground Type Gundam, two Hover Tracks, and option parts. 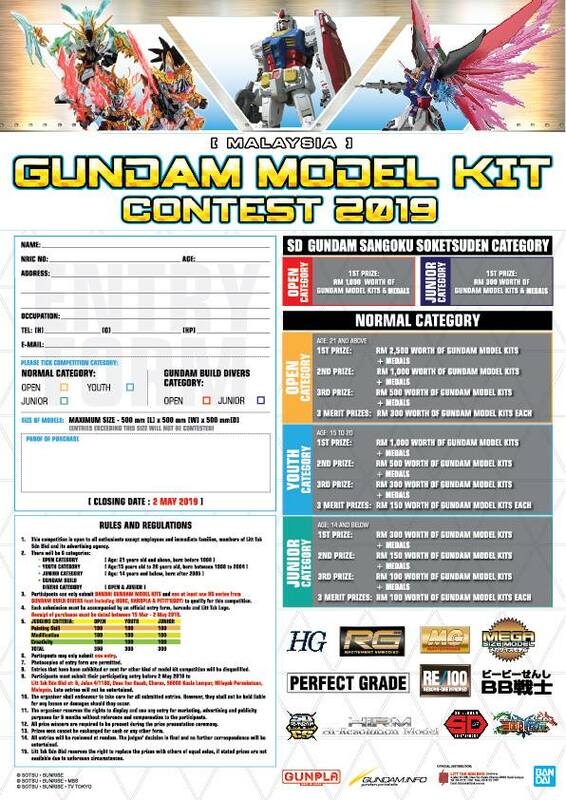 Ground Type Gundam includes machine gun, Beam Rifle, Beam Saber, shield, 180mm cannon, and weapon container. Ground Type Gundam includes an optional GM head unit with translucent visor. 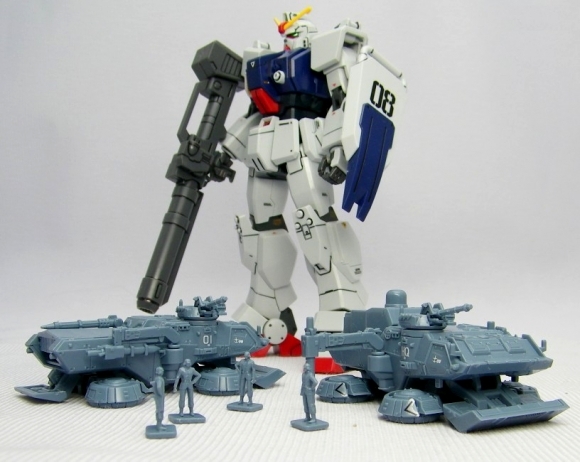 Can be attached to HG RGM-79(G) GM as well (sold separately). Hover Tracks feature movable dozer blades. Sonar unit can be modeled in a closed or deployed position using separate parts. Includes optional cargo parts.